"Hallelujah, Hallelujah, Hallelujah. Every morning," Boehner told WCPO. Since he was forced out by members of his own party in the House, Boehner has been watching from the sidelines and seems to be enjoying it. 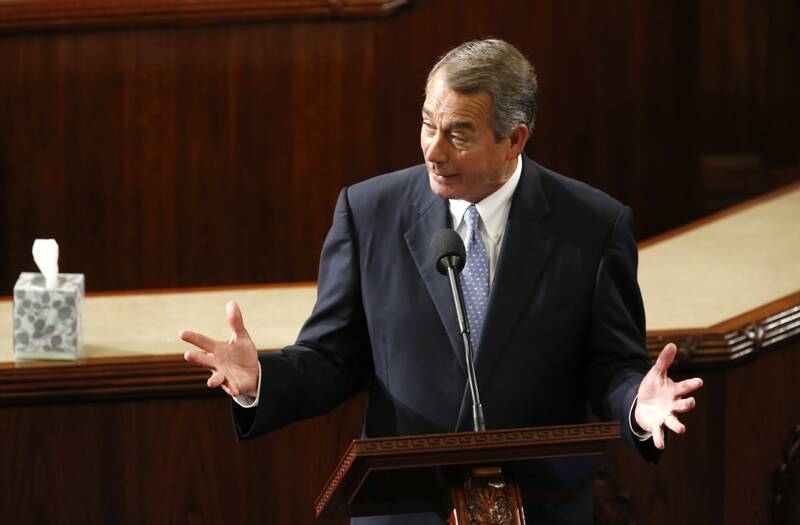 "Every day I'd watch it and was like, 'Thank God I'm not in the middle of this,'" Boehner said. Boehner also talked about his expectations for the new president, who he likened to President Theodore Roosevelt: "Donald Trump isn't there to kind of trim around the edges and occupy the White House." Boehner's cold shoulder to his old career makes a lot of sense. His attempts at compromise turned the House Freedom Caucus, the most conservative members, against him, making it impossible for him to actually do his job presiding over the House. He ended up resigning in October last year. But despite his experience, Boehner is telling president-elect Donald Trump that reaching across the aisle still matters. He believes Trump should garner as much bipartisan support he can as the incoming president works to implement an agenda. "One of the things I learned growing up on my dad's barb was to disagree without being disagreeable," Boehner said. But Trump may not need that advice if things work out the way the GOP hopes. Both the president-elect and his party have been pushing the idea of a unified GOP, and controlling both chambers of Congress and the White House makes that a whole lot easier.